Diffuse pass rendered, actually my computer is rendering the normal pass for post processed specular and other effects. I had to start over the hair modelling because I wasn’t happy with the first result but even now I’m not really satisfied with what Hair&fur let me build. 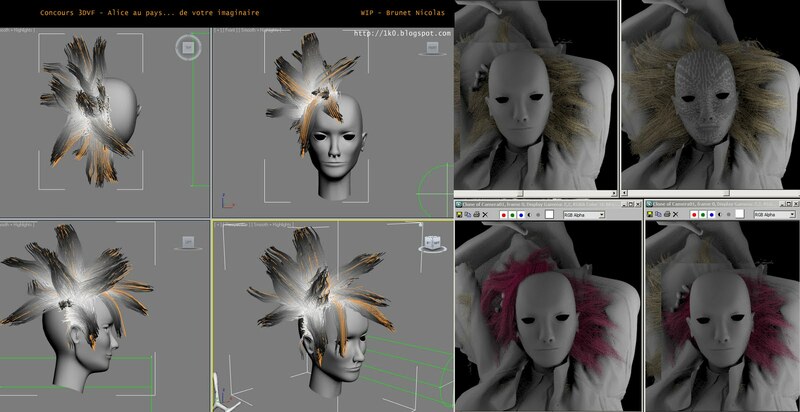 I reach the limits of this modifier, as you can see in the top left corner of the picture, unable to put more than 30 segment/hair, I understand this limit for hair dynamic animation (…) but for still image I think we have to find a sneaky way to resolve that problem for long hairs (mine will be photoshop ^^ ). Anyway the recomb from splines function helped me a lot, better than brush lock by lock as I made for the Alice illustration. 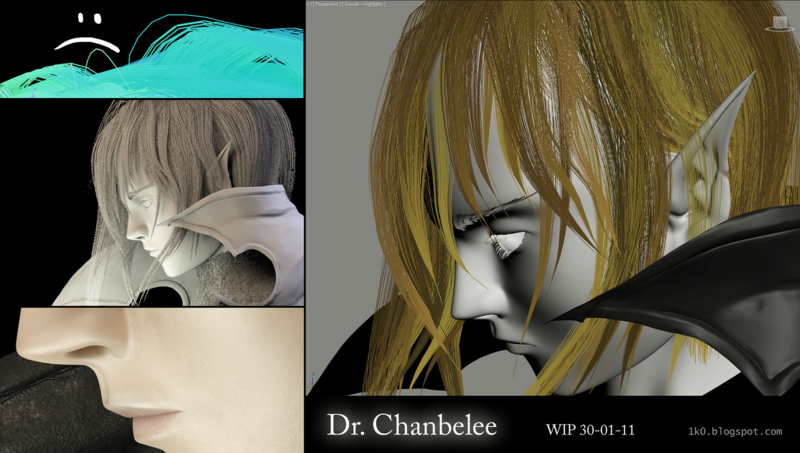 ¤ you can turn down your photometric lights shadow samples to 2 when rendering hair only, it will speed up the preprocessing time. ¤ Hair passes will kill your rendering times, depending on the look you want to give to your hair/fur. All renders should be completed tomorrow, resolution 4961/3508, compositing should be done in ~ 2hours. I hope you’ll like the final image!